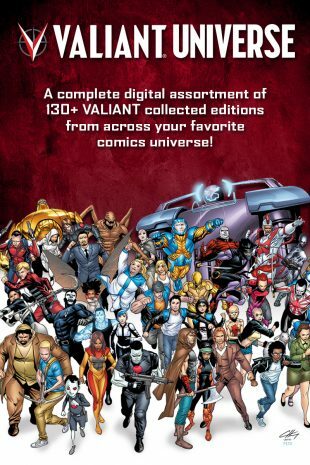 Valiant Entertainment is excited to announce that it has joined forces with Groupees, a unique online and mobile platform for distributing media with real-time social features, for the launch of a brand new, DRM-free, pay-what-you-want digital bundle of Valiant comics – the biggest ever offered in Valiant’s history! 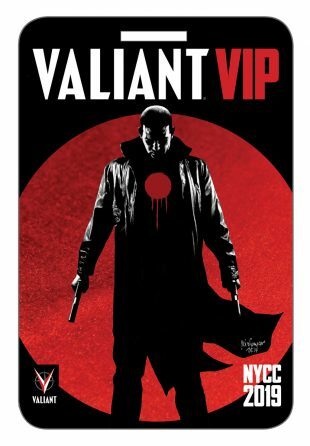 Starting today on October 16th, hundreds of Valiant’s critically acclaimed titles – from inspiring creators like Joshua Dysart (Unknown Soldier), Matt Kindt (Mind MGMT), Paolo Rivera (Daredevil), Jody Houser (Doctor Who), Robert Gill (Batgirl), Roberto de la Torre (Iron Man), and many more – will be available for purchase on the Groupees website for the next two weeks at pay-what-you-want prices! A portion of the proceeds from all sales will support Comic Book Legal Defense Fund, a non-profit organization that protects the First Amendment rights of the people who make, read, sell, and teach comics. Customers can pay a minimum of $5 or more to unlock the ORIGINS tier of comics which includes Volume 1 trades of FAITH, BLOODSHOT (2012), HARBINGER, UNITY, and SHADOWMAN (2012), plus THE VALIANT and BOOK OF DEATH! Paying at the $10 ESSENTIALS tier level will unlock another new crop of critically acclaimed first volumes and single issues, including HARBINGER RENEGADE, X-O MANOWAR (2017), WRATH OF THE ETERNAL WARRIOR, THE DEATH-DEFYING DOCTOR MIRAGE, SECRET WEAPONS #0, HARBINGER WARS 2: PRELUDE #1, and more – plus everything unlocked in the ORIGINS tier for a combined retail value of $172! At the next level, customers can unlock the VALIANT tier for a minimum of $20 and obtain entire runs of FAITH, HARBINGER, UNITY, WRATH OF THE ETERNAL WARRIOR, and much more – plus everything from the ORIGINS and ESSENTIALS tier, for a combined value of $526! 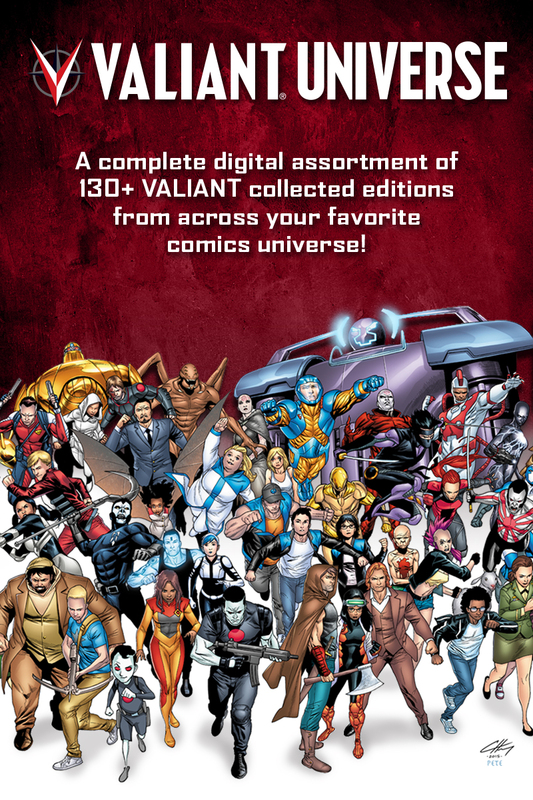 And then, for $500 at THE UNIVERSE tier, fans can snag a full set of Valiant’s entire digital comic collection – a $1,812 retail value for just over a third of the cost! PLUS: As more bundles are sold, the campaign will also feature surprise bonus STRETCH GOALS that unlock even more free content for contributors at every single level! The Valiant Universe Groupees Bundle will run for two weeks and ends on October 30th, so don’t miss out – head to Groupees.com/valiantuniverse for an amazing lineup of comics!